The many variations of the Bible show that there have always been disputes over what is considered correct canon. 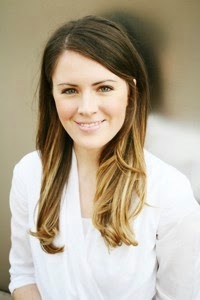 But it was the long-running debate over decanonizing the book of Esther that caught author Mandy Voisin’s attention. Voisin began doing research on the story of Esther and found that there had been debates in some religions about taking the book of Esther out of the Bible because there was no explicit mention of God. It was the mention of “fairy tale” that especially inspired Voisin, who had never thought of the story that way. 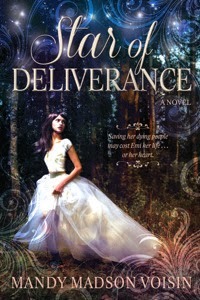 Voisin’s debut novel, “Star of Deliverance” follows Emi, a healer in training, born of the Savian race. For centuries, the Savians have been treated as slaves and inferiors by the Brockans. When a mysterious disease begins threatening Savian villages, Emi takes it upon herself to find a cure — a cure that she is confident lies within the Brockan palace walls. By mistake, Emi lands herself in a “Queen in Training” program, along with 20 other Brockan girls, all hoping to be chosen by Prince Corban to become the next queen. Emi suddenly finds herself in a life of luxury that makes it almost easy to forget home. But when she discovers there might be something far more sinister behind the spreading disease, Emi must risk her life, family and love to stop it. The story of Esther wasn’t all that inspired her. Voisin, who initially had no desire to publish her work, began writing “Star of Deliverance” as an after-work reprieve from the dull work-related writing she did during her job. Voisin would pass around the latest draft to her family, and they began noticing something familiar about the scenes she depicted. Voisin finally finished the novel and was satisfied to have proven to herself that she could do it. It was only after her father threatened to submit her manuscript to publishers if she didn’t, that she sent it to a few regional publishers. Six weeks later, Voisin received an acceptance letter from a publishing house. Mandy recommends readers drink Lavender Tea while enjoying "Star of Deliverance"
Congratulations to Melissa Zenteno for winning this giveaway! Oops, didn't follow the directions the first time. I am excited to read Voisin's book because it seems like the type of fairy tail I'd like to read. That is, more down to earth with relatable characters, while still transporting you to a new place. I have wanted to write a book forever and can't pin point where to start on theme...I LOVE this idea and can't wait to read it! Ever since this book showed up in my Goodreads feed, I've wanted to read it. The adaptation of the Esther story intrigues me. I can't wait get my hands on a copy! I love the story of Esther too. What a fun idea to use it as the basis for a novel. Super excited to read this book! It sounds like a really great book! Esther is one of my favorite stories in the bible.